Have you been to see Fantastic Beasts: The Crime of Grindelwald yet? We went to see it at a local cinema’s premier a couple of days ahead of the release date and thought it was great! I’ve been a big Harry Potter fan since I was 8. As such, this continuation of the franchise is very welcome to me. The nifflers in the latest film were so cute! I was delighted when Kids @ Play Toys sent us some adorable plushies to review! Nifflers are a British beasts, which are fluffy with a long snout. They are burrowing creatures with a penchant for anything shiny or glittery. Whilst gentle and affectionate, they can be very destructive! You can find out more on Pottermore. 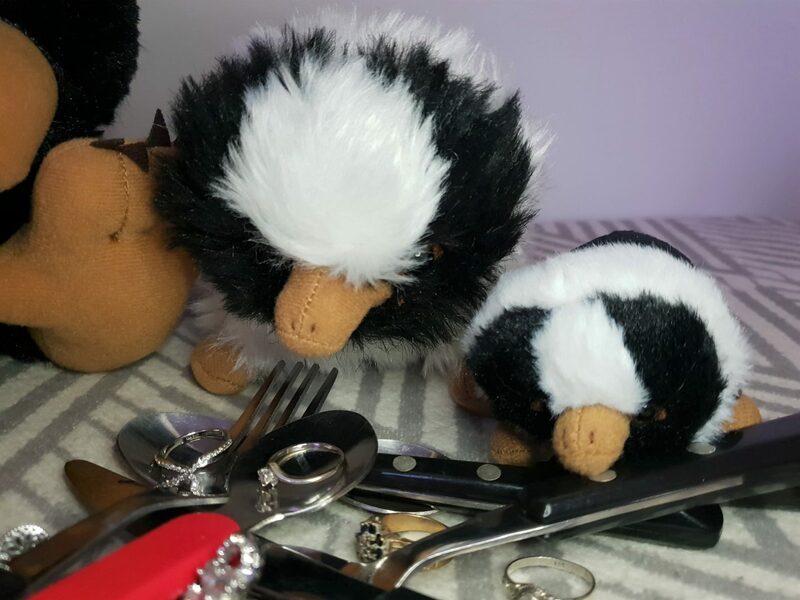 The smaller baby nifflers are 4″ long and the larger babies are around 7″ long. Size doesn’t matter when it comes to how mischievous these creatures are, though. I only turned my back for a few minutes and they’ve already made themselves at home. Their inquisitive nature and love of shiny things had led to their invasion of my jewellery box and cutlery drawer! They’d even found my daughter’s piggy bank. How can you be mad at those little faces, though? Just when I thought all was well, I realised that one must have escaped me as I opened the packaging. He had helped himself to the contents of my purse, cheeky little thing! Where can I find niffler plushies? 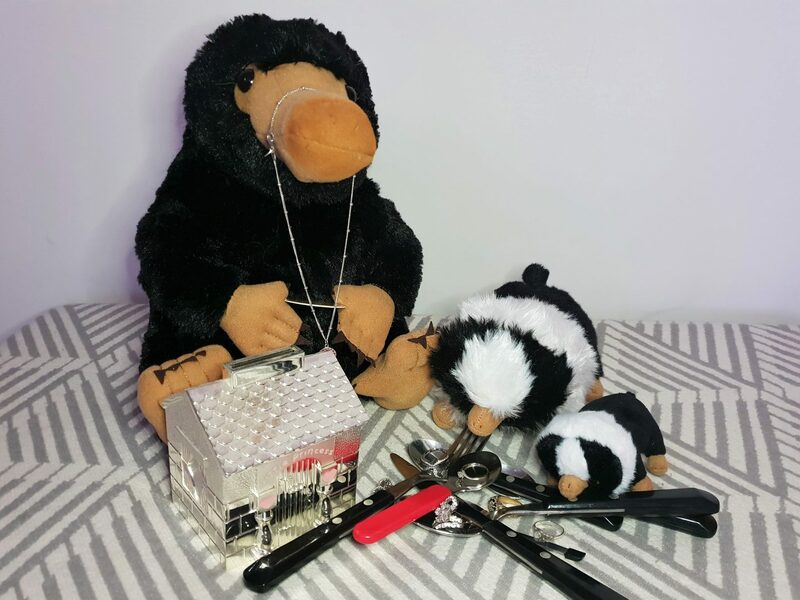 Want to have your own fun with nifflers? Or perhaps you’d like to get one for a Fantastic Beasts fan for Christmas? Well, it isn’t really advisable to keep them in your home as they WILL find all your shiny things. It simply isn’t a case of IF. However, I have been informed that you can get them from all good toy stores. They are priced from around £15, although prices will vary between retailers. 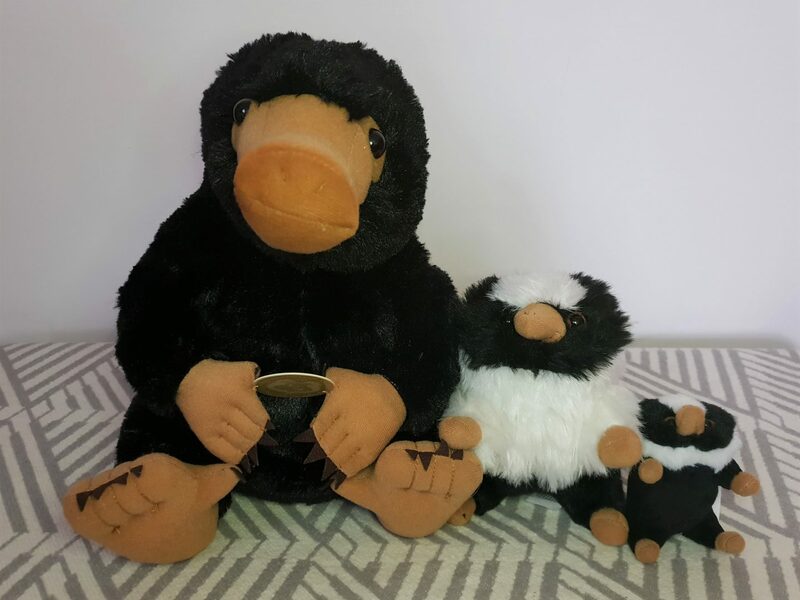 Disclosure: I was sent these niffler and baby niffler plushies in return for this review. As always, all views and opinions are honest and my own. They are so adorable and would make a lovely Christmas present! It’s a shame you didn’t know in advance!